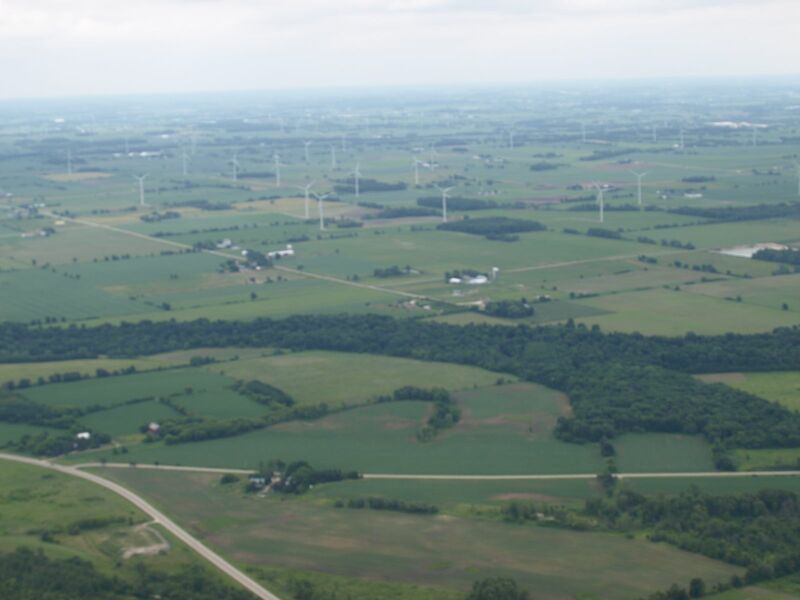 Invenergy Wind LLC has constructed 66 wind turbines in the Towns of Oakfield and Byron in Fond du Lac County (36) and the Towns of LeRoy and Lomira in Dodge County (30). The hub height is 262 feet and the blade length is 126 feet. Each has an electric capacity of 1.5 Megawatts for a total of 99 Megawatts for all 66. Each turbine generates about 4.2 million Kilowatts per year or the electric usage of about 500 average homes. At 13 cents per Kw hour this amounts to $546,000 worth of electricity per turbine. There are 17 turbines in the Town of Oakfield. The utility payment to the Town is about $2500 per turbine for a total of $42,500 per year. 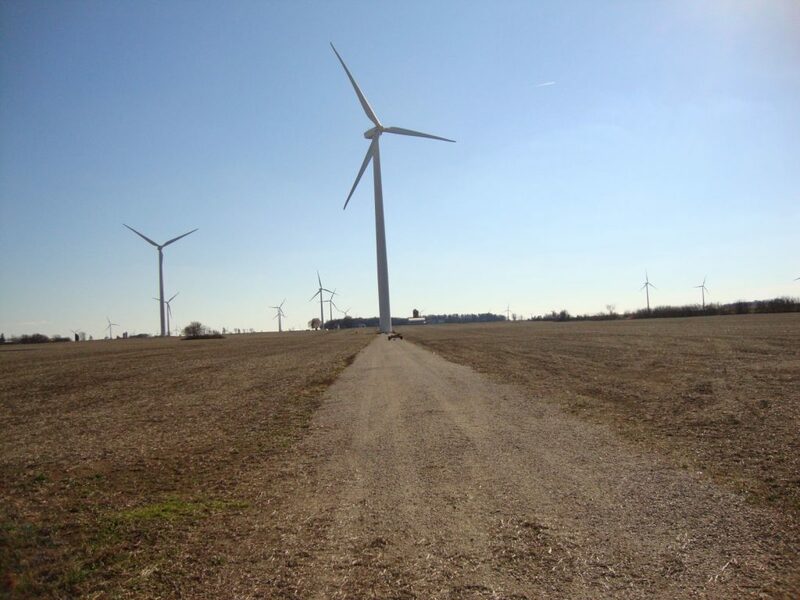 In addition Fond du Lac County receives $3500 per year for each turbine and each land owner receives about $4500 per year for any turbine located on their property. Each turbine saves about 4,800 tons of carbon dioxide emissions per year plus tons of other emissions.